Experts are concerned about terrorists using biological weapons to launch attacks. But perhaps the biggest threat is the risk posed by state actors and the accidental release of pathogens by military labs. The Ebola epidemic, which broke out in West Africa in 2014, served as a stark and timely reminder of the health and security risks that biological pathogens pose to modern society. The outbreak saw unprecedented levels of cooperation between health organisations and the military to try and contain the spread of the virus. But in the background, concerns were being aired in some quarters, as to whether terrorists or non-state actors could use biological pathogens like Ebola to launch attacks designed to cause mass deaths and/or casualties. 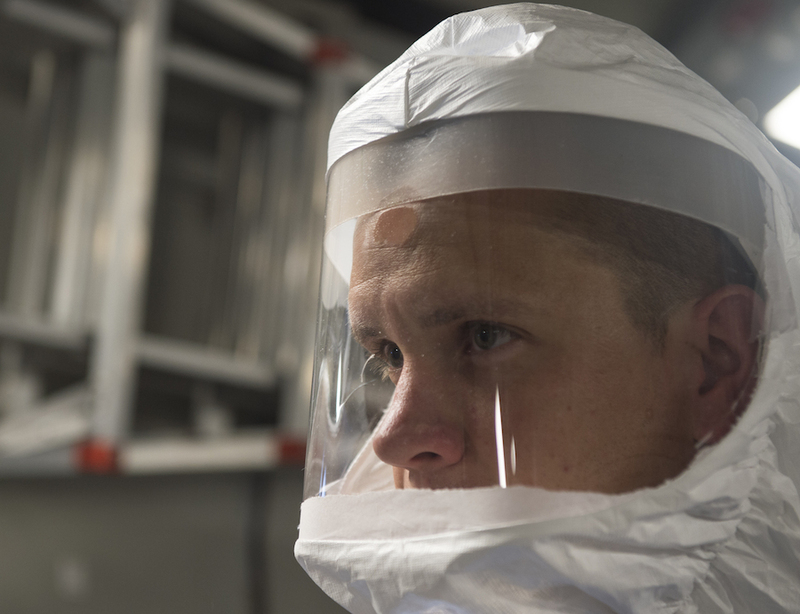 A Freedom of Information request last year at the height of the Ebola epidemic saw the UK Ministry of Defence release to the mainstream media a heavily redacted report from the Defence Science and Technology Laboratory (Dstl) outlining potential scenarios in which Ebola may possibly be used in bioterrorist attacks. The different scenarios, most of which were blacked out, were assigned varying degrees of technical and logistical complexity. Dr. Filippa Lentzos, senior research fellow at the Department of Social Science, Health & Medicine, King’s College London, says Ebola does not, for the moment, make a viable bioweapon candidate. The Second World War and the ensuing Cold War period saw most of the major military powers, including the United States and the UK, experiment with biological weapons programmes.Biological weapons were used to carry out covert state-sponsored assassinations (the famous “umbrella killing” in London in 1978 saw Bulgarian exile Georgi Markov attacked and killed by a ricin pellet hidden inside an umbrella). However, by the 1970s, the international mood towards biological weapon programmes had shifted. In July 1969, the UK proposed to the United Nations Committee on Disarmament the prohibition of the development, production and stockpiling of biological weapons. In 1972, the Biological Weapons Convention (BWC) was ratified by 103 signatories. The BWC now has 110 signatory states who meet every five years to review the convention, to exchange views on what is acceptable and to discuss how recent developments in science and technology could impact the BWC. Lentzos says a large part of the BWC is focused on codes of conduct, health and safety aspects and statutory oversight. The BWC is up for review again this year. Lentzos says one of the challenges the BWC faces is the need to encourage greater transparency and confidence between countries that are signatory states. In stark contrast to the nuclear field, the norm against biological weapons is extremely strong; no country in the world is likely to come out publicly saying they have a biological weapons programme, she explains. “There are some concerns about North Korea and Syria, but it is very difficult to obtain hard intelligence,” says Lentzos. “Another country of concern, one that has a sophisticated biotech industry and military, is Israel.” Israel is not a party to the BWC and although it signed the CWC in 1993, it did not ratify it. 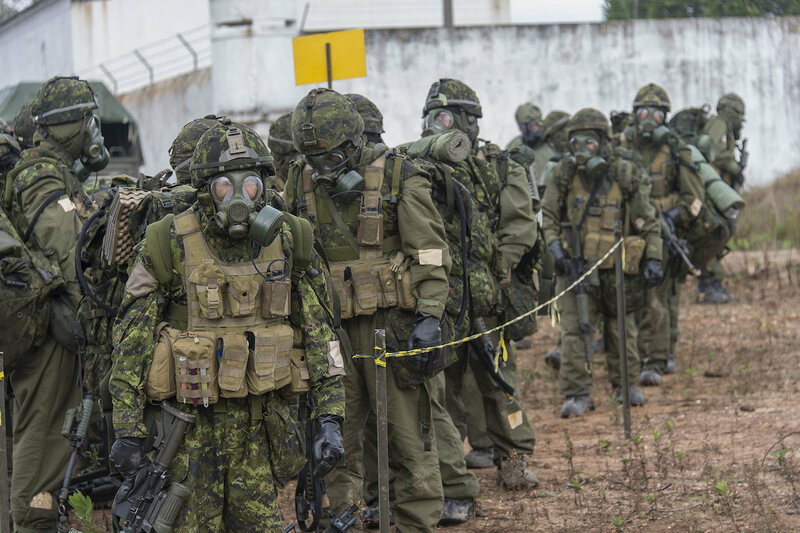 Although it is now much easier to develop biological weapons than it was just a few years ago, Lentzos says 20th century concerns about strategic biological weapons delivered by short-range ballistic missiles, biological bombs or planes spraying clouds of germs over cities, may no longer equate with contemporary conflict. “While the use of biology will not have military utility in all contemporary conflicts, the possibility that it might have military utility in a small subset of conflicts, particularly given the growing use of unmanned aerial vehicles, makes it imperative that the bioweapons threat from states is dedicated a greater part of our collective vigil and that we develop effective preventive measures,” says Lentzos. The recent Ebola outbreak and now the rapid spread of the Zika virus in Latin America, as well as the SARS (Severe Acute Respiratory Syndrome) and bird flu outbreaks in Asia, are reminders that mother nature can often pose the greatest threat when it comes to a mass pandemic. “In the security world, there is now a lot more emphasis on the threat of disease and the fact that it might be naturally occurring—a new virus or bacteria crossing over from a different species—as opposed to being intentionally released by a non-state or state actor,” says Lentzos. The CWC bans the use of all toxic chemicals as weapons in war, but it does not prevent states from using toxic chemicals such as tear gas for law enforcement and domestic riot control. Though the range of permitted toxic chemicals is restricted by types and quantities consistent with law enforcement purposes, some states have interpreted that the law enforcement exemption extends to incapacitating chemical agents. Given the increased convergence between chemistry and biology as synthetic biological experiments increase, Lentzos says the BWC will need to ensure there are no ‘loopholes,’ which could see the use of synthetically-modified biological incapacitants as non-lethal weapons. The only way to counter such threats, she says, is to build trust between scientists and the public and between national militaries through openness and a strong culture of accountability. In early February 2016, the UK Ministry of Defence’s Defence Science and Technology Laboratory (Dstl) announced that it would commit up to £18 million over the next four years exploring the potential impact of synthetic biology on the UK’s defence and security capabilities. Dstl Professor Neil Stansfield stated: “It is important that Dstl keeps abreast of such emerging technologies, ensuring that our armed forces can benefit from cutting-edge capability.” A statement issued by Dstl stated that it was specifically interested in using synthetic biology to produce ‘novel materials,’ which might provide benefits such as enhanced ballistic protection and lightweight armour or transparent screens and lenses, which don’t mist up. “It is anticipated that within four years a new material for armour, or a new approach to existing materials at reduced cost, will be identified,” Dstl stated. Some of Dstl’s work in the field of synthetic biology includes improved boron carbide armour and catalysts for fuel cells. According to a September 2015 report by non-partisan policy forum, the Wilson Center entitled: US Trends in Synthetic Biology Research Funding, between 2008 and 2014, the United States invested approximately $820 million dollars in synthetic biology research, with defence being one of the biggest contributors. The report states that the Defense Advanced Research Projects Agency (DARPA) went from no funding for synthetic biology research in 2010 to more than $100 million in 2014.